Reportedly, the development of the new R29 was thwarted by the chassis failing the mandatory FIA crash test, of which I’m assuming its since passed, as both Fredrico Suave (F. Alonso) and Nelson-Melson (N. Piquet Jr.) have also put in testing laps in Portugal, when the weather permitted and the R29 will be helped significantly by the FIA’s granting of engine upgrades in order to bring its competitiveness on par with the top three teams. Not only did the Renault livery get WORSE... the aero shapes of the R29 are HIDEOUS!!! UGH my eyes. When does a LEGO logo get placed onto the car? 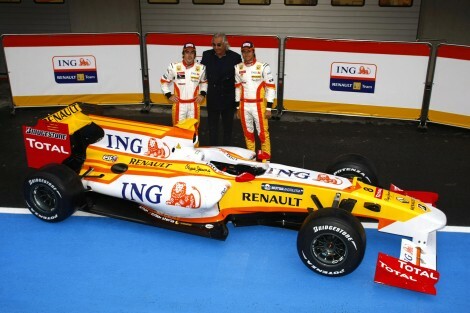 Their designers must have created this "kit-car" F1 entry from Renault. Call me crazy but does the R29's nose look reincarnated from the Williams "walrus face" FW26? Perhaps its just the fat, blunt edged face? ?